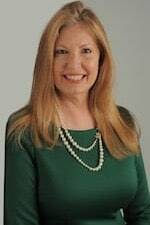 Davie, Florida –Tami R. Wolfe, a Partner at KALIS, KLEIMAN & WOLFE, has been selected to serve on the Board of Directors of the Davie-Cooper City Chamber of Commerce. Ms. Wolfe is an active member of the Chamber. She currently serves on their Women in Business Committee, which promotes awareness of women’s issues in the areas of business, health and community commitment. Ms. Wolfe is an experienced and dedicated litigation attorney who concentrates her practice to personal injury and wrongful death cases including automobile accidents, premises liability, negligent security, catastrophic brain and spinal cord injuries, nursing home liability and medical malpractice. She also handles Qui Tam cases. The law firm of KALIS, KLEIMAN & WOLFE focuses on Real Estate Transaction, Commercial Litigation, Personal Injury and Medical Malpractice Law. The firm was founded in 1996 and is headquartered in Davie, Florida, at 7320 Griffin Road, Suite 109 and may be reached at 954.791.0477. Additional information about attorney Tami R. Wolfe or the law Firm of KALIS, KLEIMAN & WOLFE may be obtained from the firm's website at www.kaliskleiman.com.